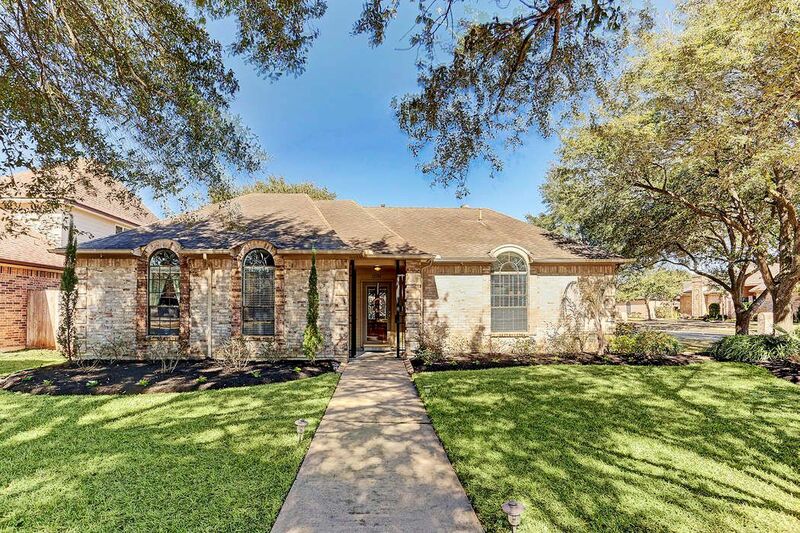 12110 Ella Lee Lane, Houston, TX 77077 | Martha Turner Sotheby's International Realty, Inc. 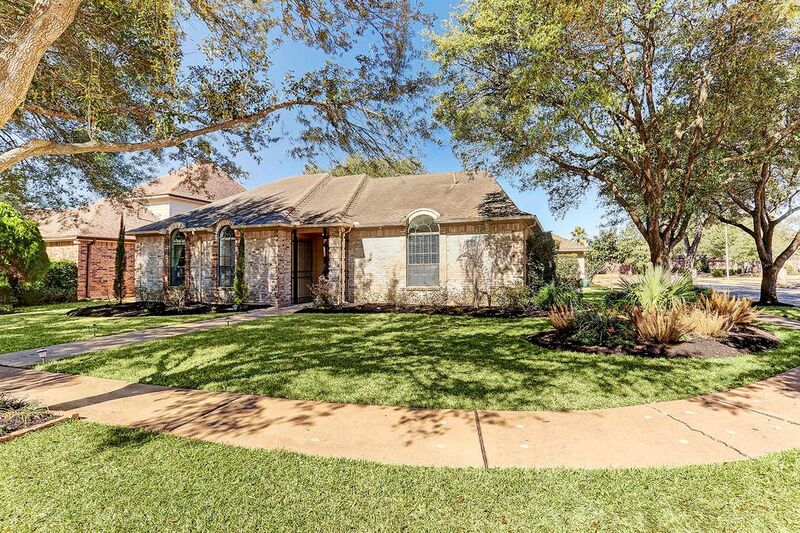 Mature trees surround the entrance to the charming one story house in the peaceful neighborhood of Shadowbriar. 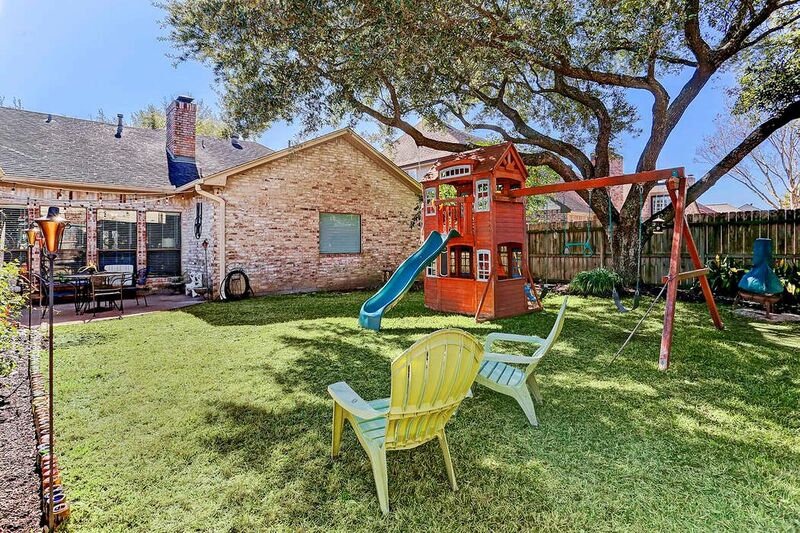 A generous front yard welcomes you onto the property. Charming walkway leading to the front door. 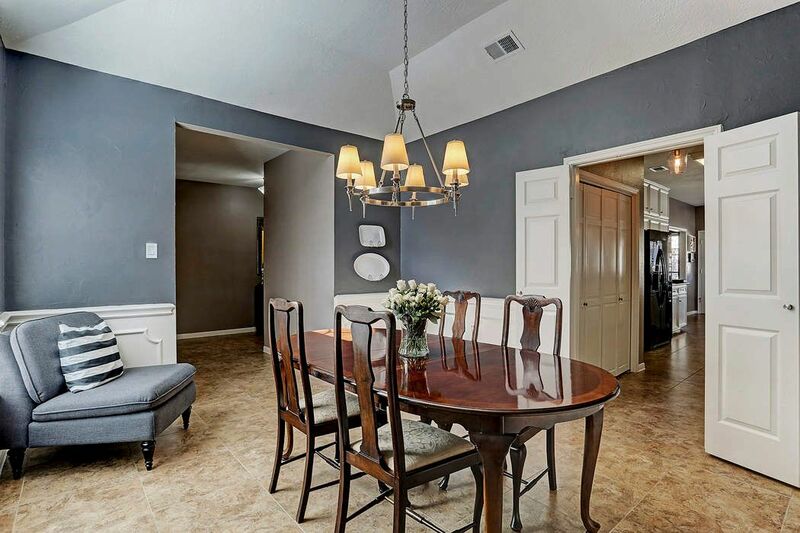 This home is located on a corner lot of a quiet tree lined street. Once you walk in you are greeted by the lovely foyer. 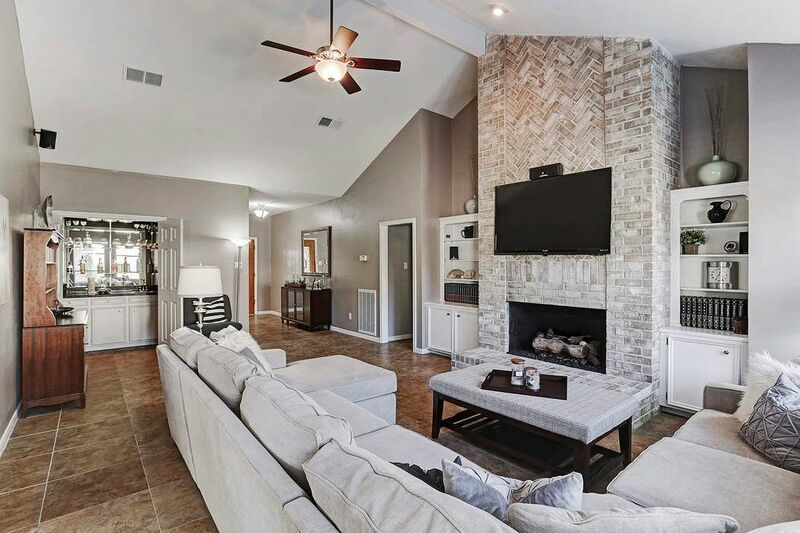 The home features 20'' x 20'' tile flooring throughout. 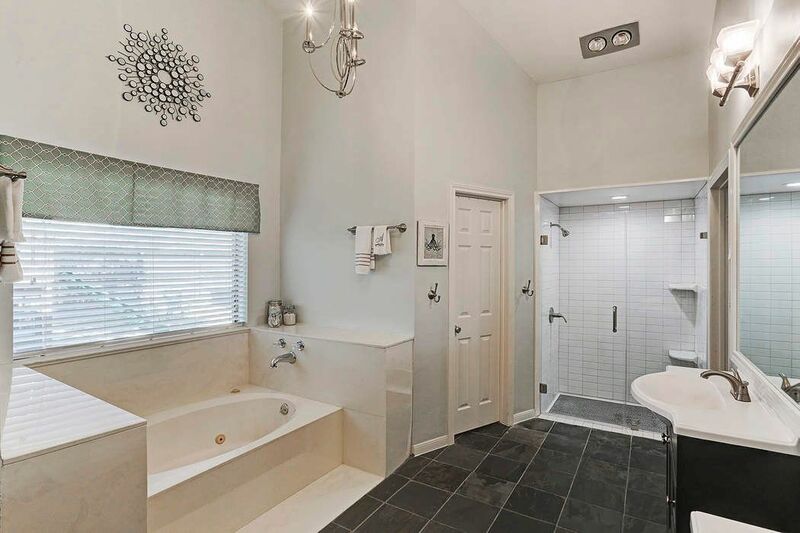 The door on the left is the conveniently located half bath a feature not commonly found in Shadowbriar homes. 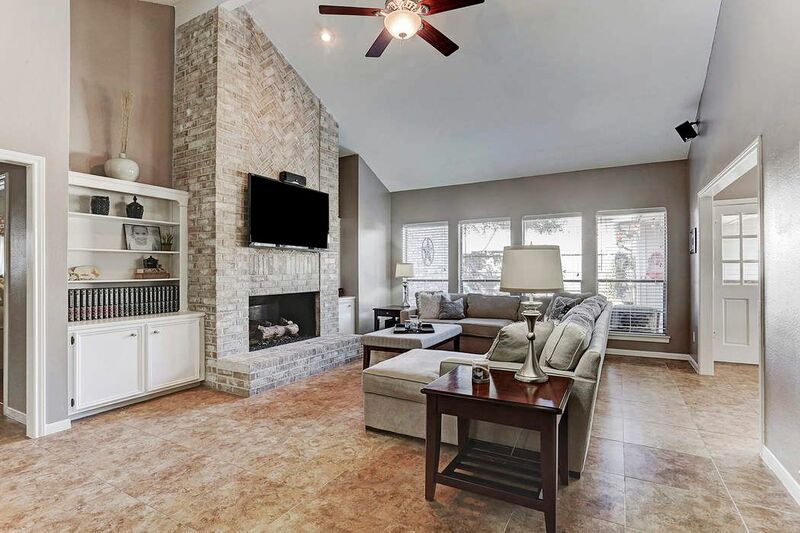 Open and bright, the 24' x 15' living room on the offers tile flooring, 3'' baseboards and a nicely appointed fire place with brick surround. North facing windows let in an abundance of natural light. Peaking 13' in height the vaulted ceiling opens this room to new heights. 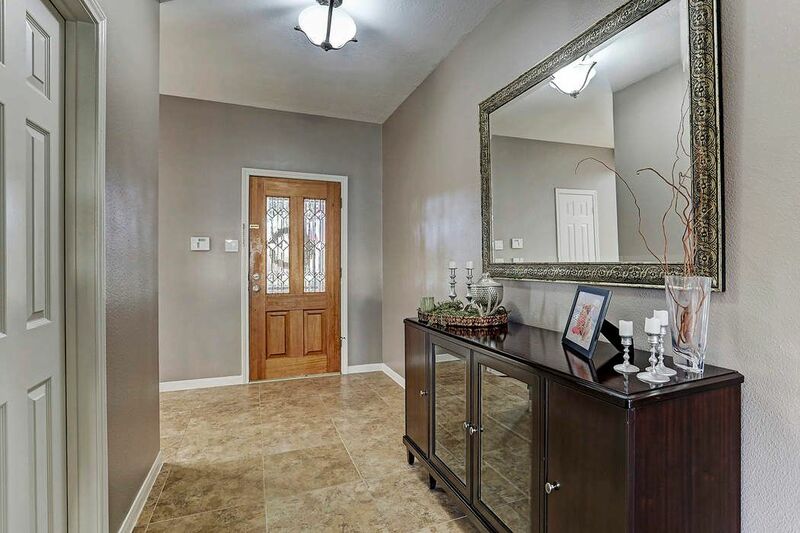 The neutral paint throughout the home gives it a very stylish touch. 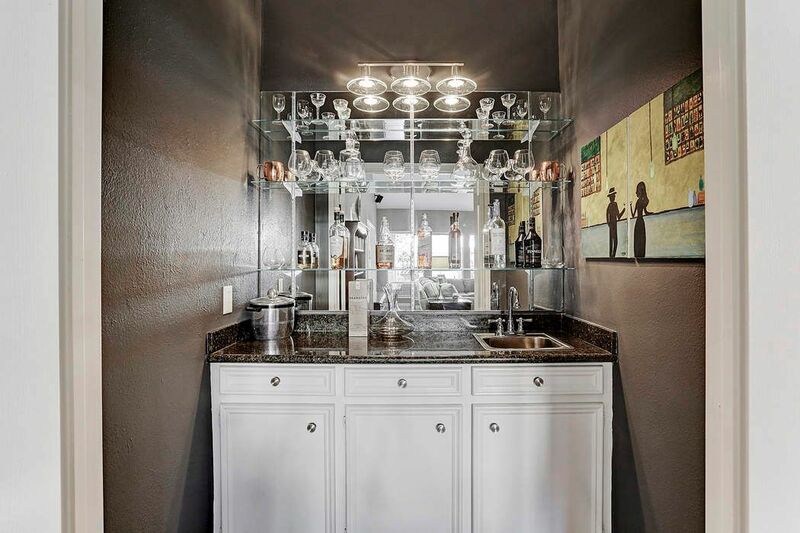 Conveniently located in the living room, the 5' x 4' wet bar features a Franke stainless steel undermount sink and an abundance of storage if desired. The double door allow concealment if desired. The grand fireplace is the heart of the living room with detailed millwork with art lighting above, a perfect place to display your favorite decor. 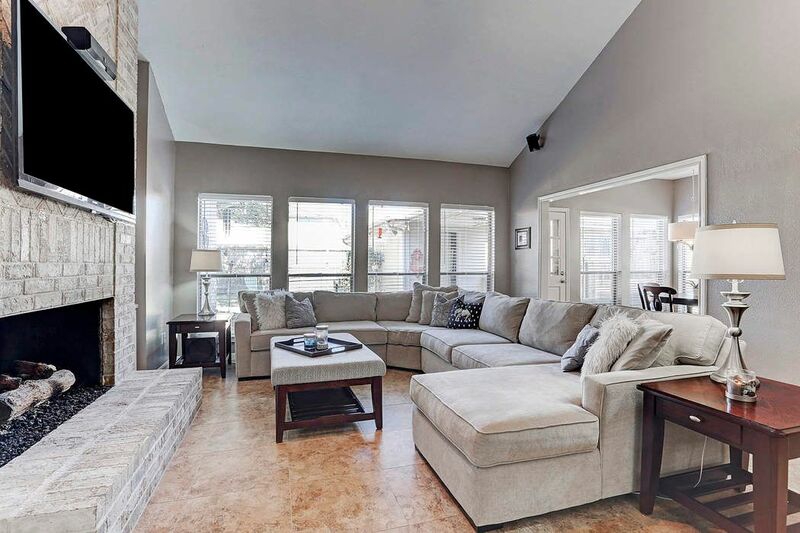 The living room is open to the breakfast room and adjacent kitchen area which provide a natural flow in the home. Note there is no odd interior courtyard in this home. 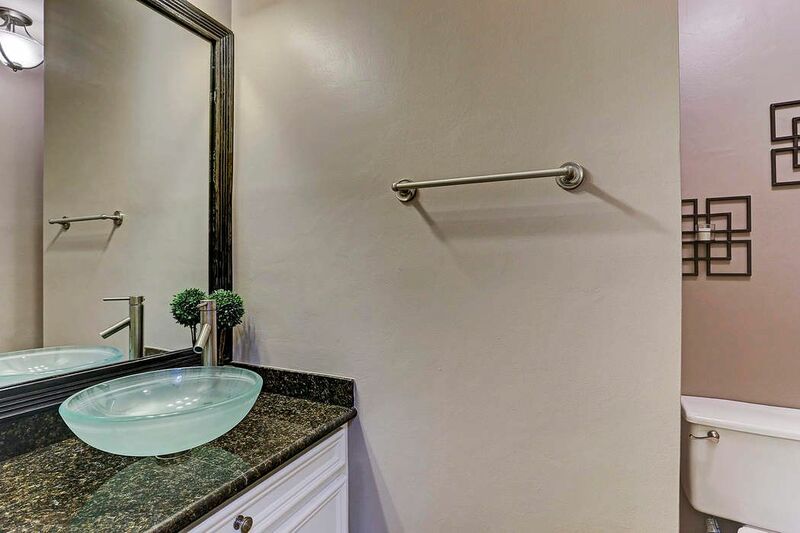 Conveniently tucked away between the living and formal dining room is a private half bath that boasts granite countertops and a glass vessel sink. 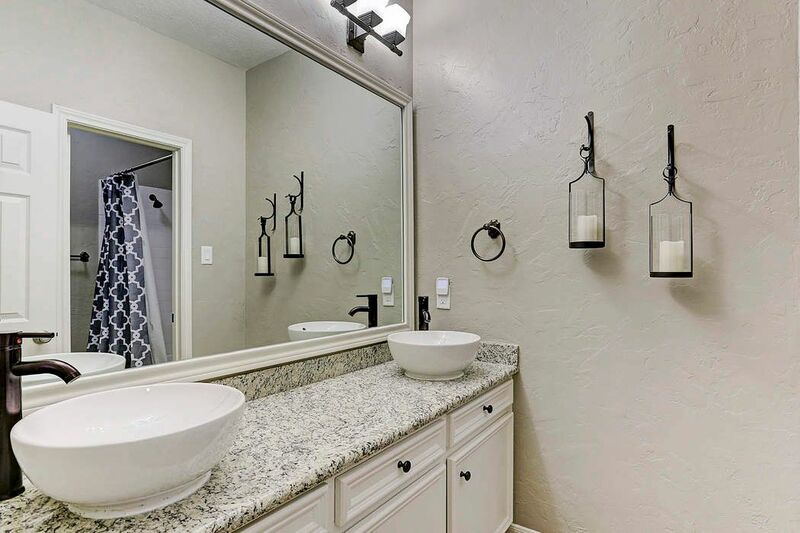 Powder rooms are not common in Shadowbriar homes. The open kitchen/dining concept allows for ample nature light to flood the room. 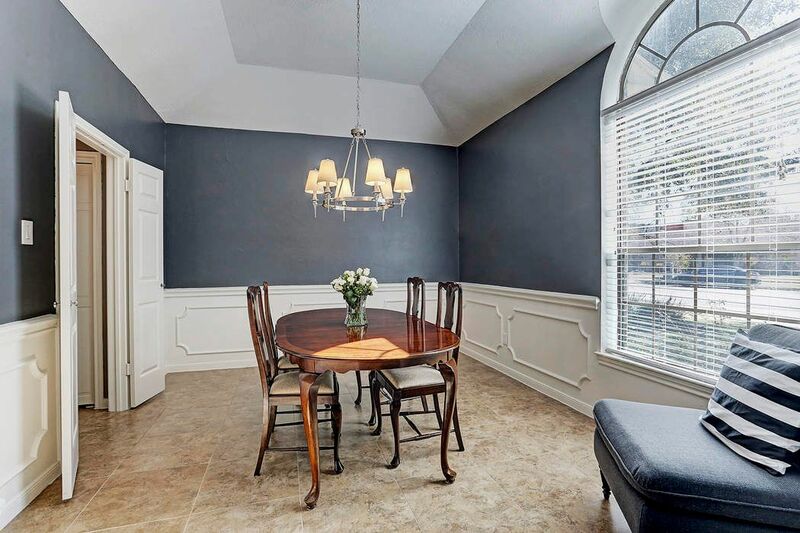 The formal dining room features a 6-light stainless-steel light fixture and wainscoting adds an elegant touch. The formal 14' x 11' dining room is conveniently located near the kitchen for ease of serving. 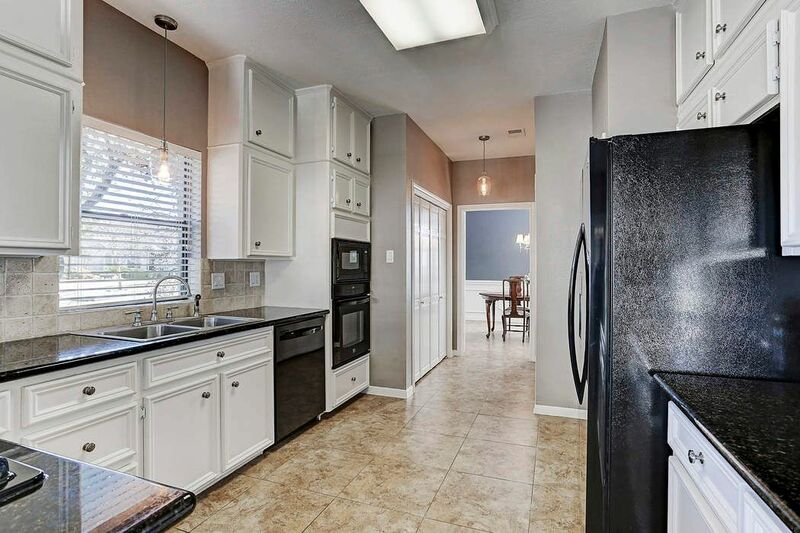 This substantial 17' x 11' kitchen boasts plentiful cabinetry, granite countertops. The appliances by Kenmore and ample storage space including two pantries that flank the refrigerator to the left of the photo. 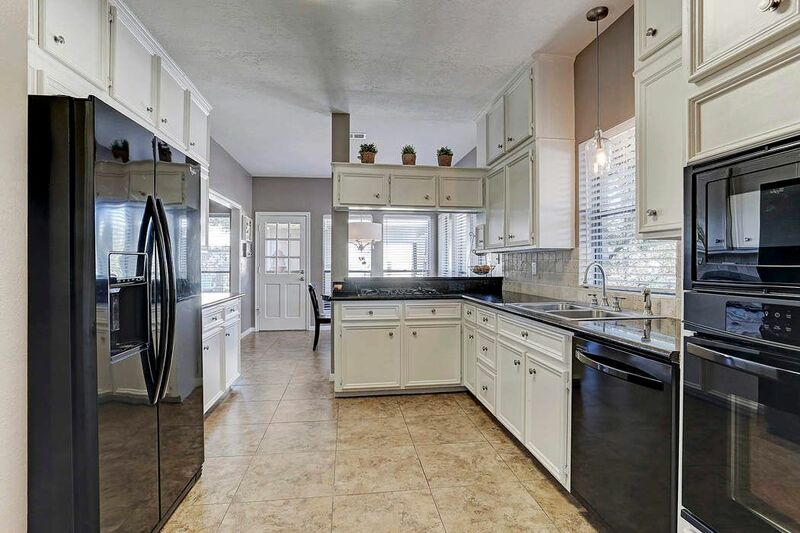 Allowing for maximum enjoyment and ease of entertaining, the kitchen is fully open to breakfast areas. East facing windows above the stainless steel sink allow the suns natural rays inside the home. The 4'' x 4'' tumbled stone backsplash design adorns the bright and airy kitchen. Clean details and stainless steel hardware give the kitchen a very attractive look. 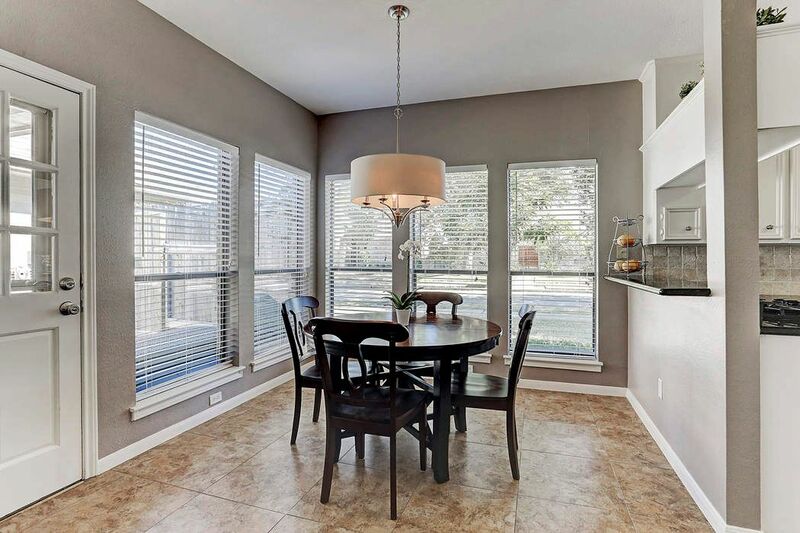 The breakfast area is conveniently located near the back door off the detached garage for those eventful mornings when you have to make a dash out the door. 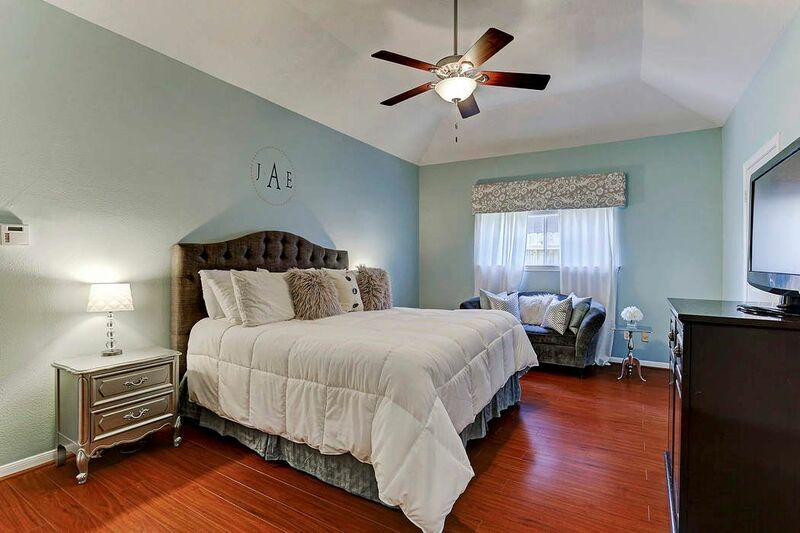 The 20' x 13' master bedroom is outfitted with durable engineered hardwood flooring and a 5-blade ceiling fan for additional practicality. This fashionable master bath offers a tranquil retreat from the hectic city with a jetted soaking tub and frameless glass enclosed shower. 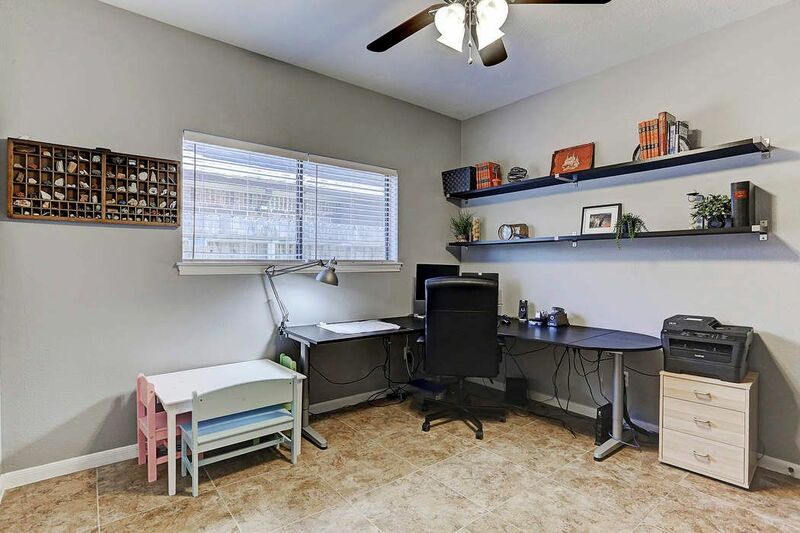 Dual walk-in closets not shown. The master bath provides entertainment and usefulness. North facing window above the tub allows natural light to fill the room while maintaining privacy with 2 1/4'' blinds. 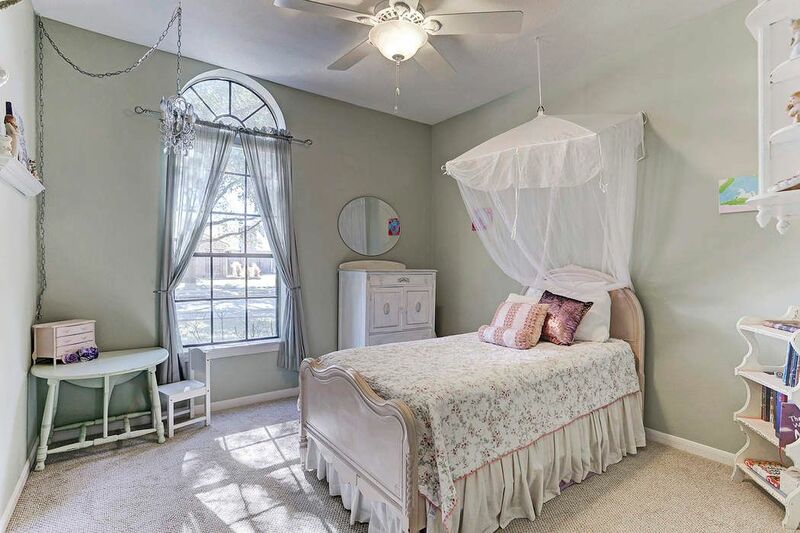 Down the hall from the master bedroom is a sizable secondary bedroom features a Hunter 5-blade ceiling fan and an oversized walk-in closet. Measuring 11' x 11' this secondary bedroom with a sizable closet offers new plush carpeting which was installed early 2018. 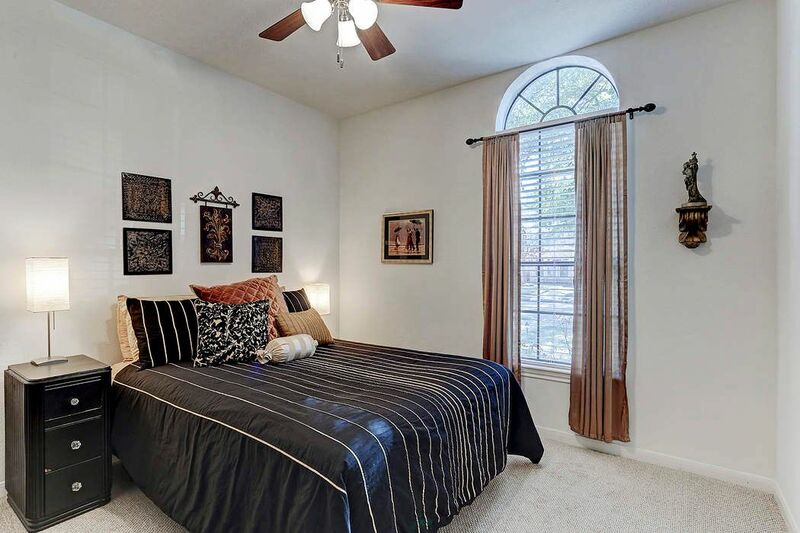 This sizable secondary bedroom, equipped with new carpet and a closet perfect for just about any apparel. 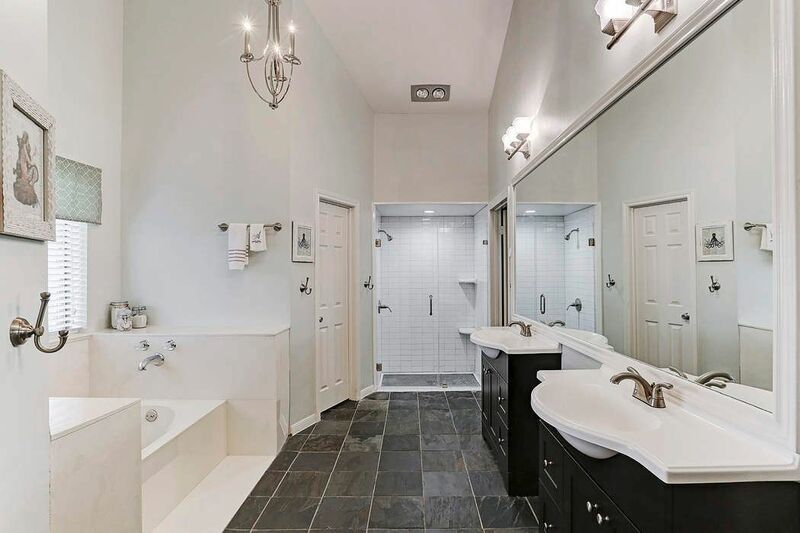 The hall bath boasts dual vanities with vessel sinks, custom lighting and a shower/tub combo. 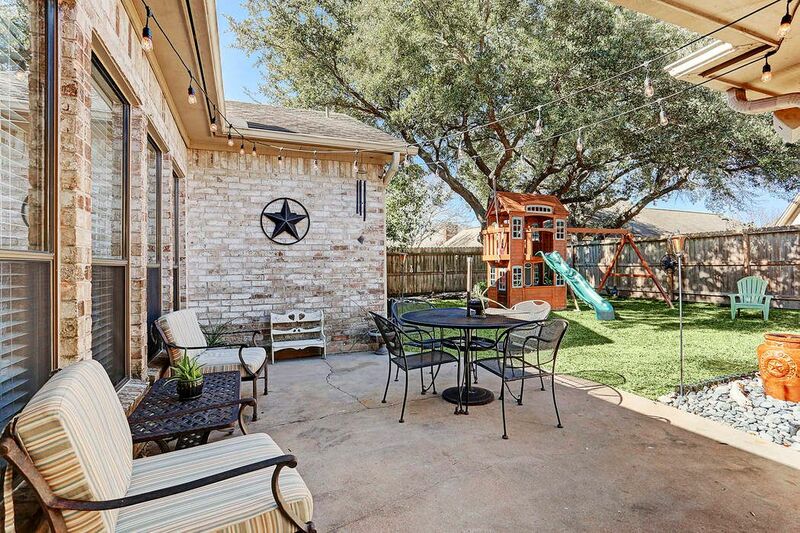 If you long for a beautiful backyard space, 12110 Ella Lee is your dream home. Perfect for curling up with a good book, outdoor hanging string lighting sets the mood for this space. 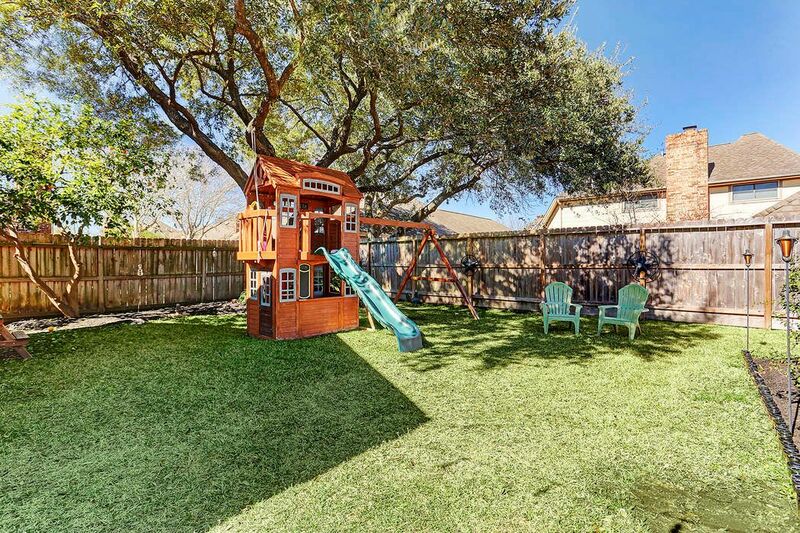 The 7,548 square foot lot offers a very spacious back yard with plenty of space for children to play and family to enjoy. Enjoy fruit from the grapefruit tree located on the northwest end of the property. Notable upgrades include a French drain system, full irrigation sprinkler system and water fountain. 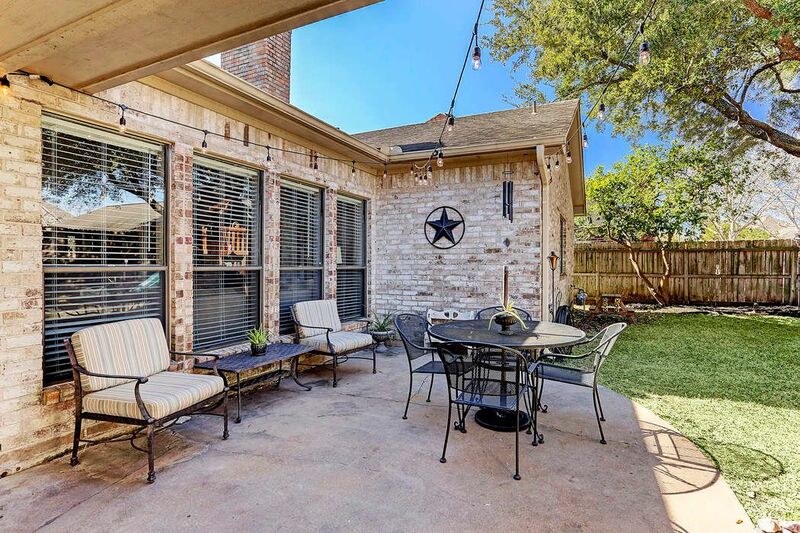 The updated patio is directly out the back door and perfect for BBQ and entertaining family and friends. 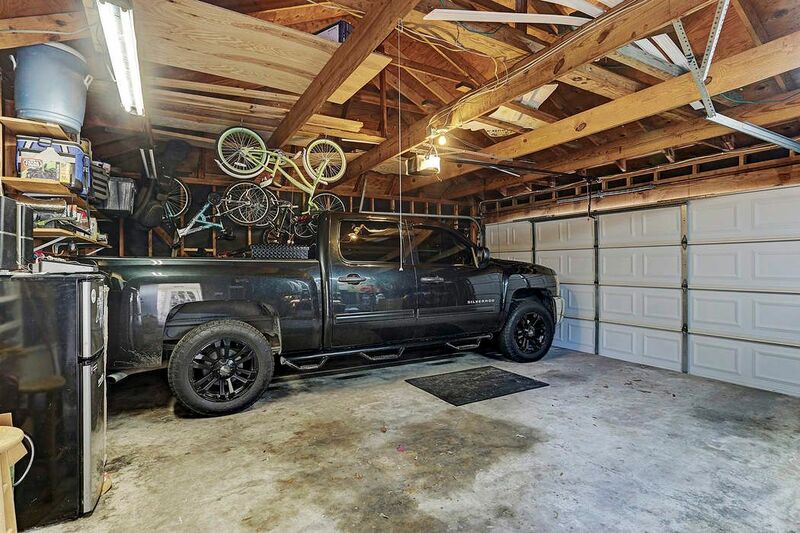 The large Chevrolet truck fits this detached 2-car garage space like a glove. Additional storage and biking racks are also equipped for your needs. While just south of the Energy Corridor, 12110 Ella Lee offers close enough proximity to make it a desirable subdivision for industry employees. 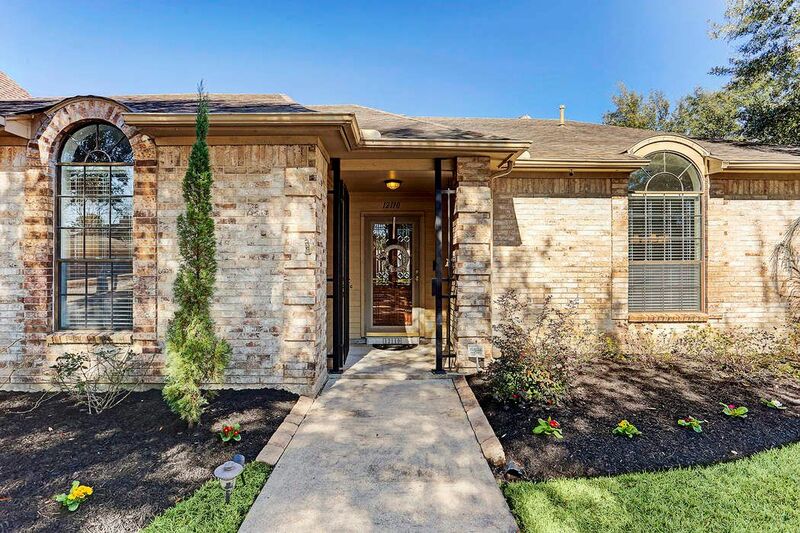 $329,000 4 Bedrooms2 Full / 1 Partial Baths2,349 sq. ft. 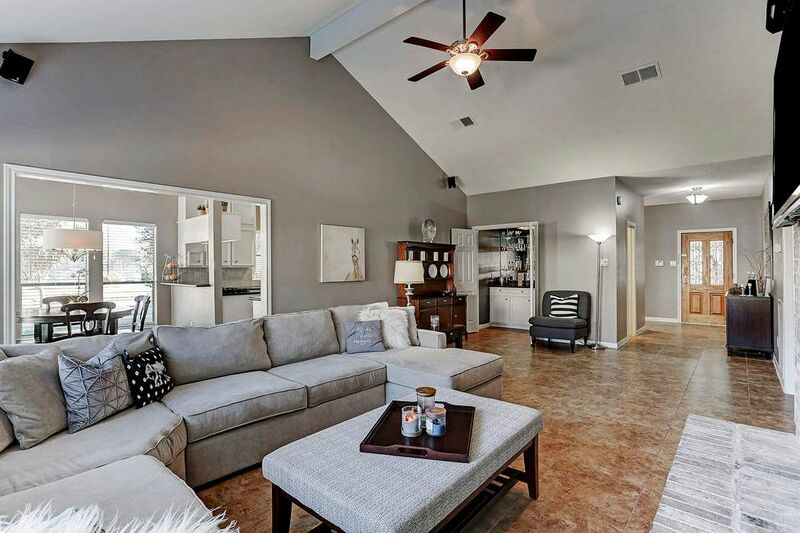 Located on a tree lined street in sought after neighborhood of Shadowbriar, this charming home sits on a 7,548 square foot lot and boasts an open floor plan. 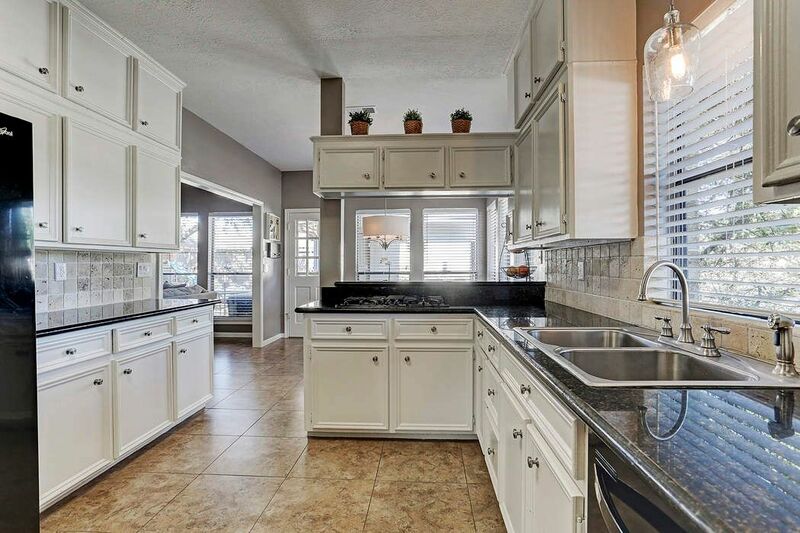 Featuring 4 bedrooms, this 2,349 square foot home offers an updated kitchen with granite countertops. 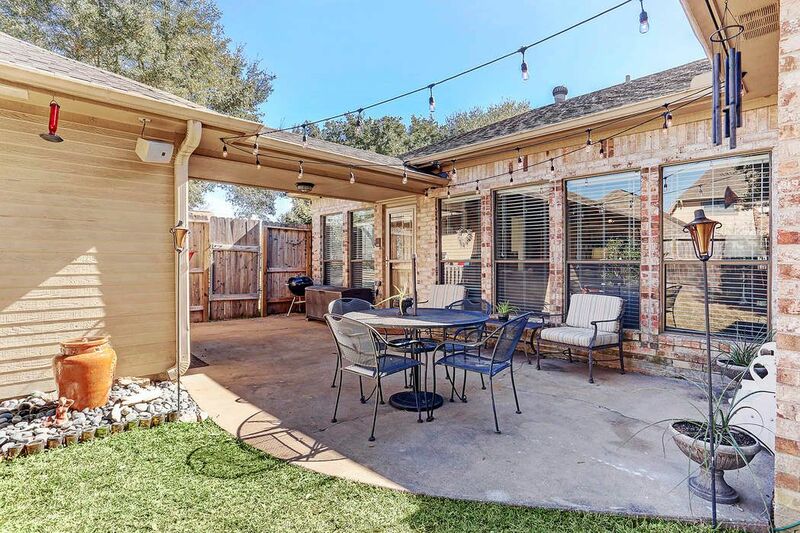 The updated backyard includes an inviting seating area that offers an ideal spot to gather and watch the sunset and local birds who visit the property.